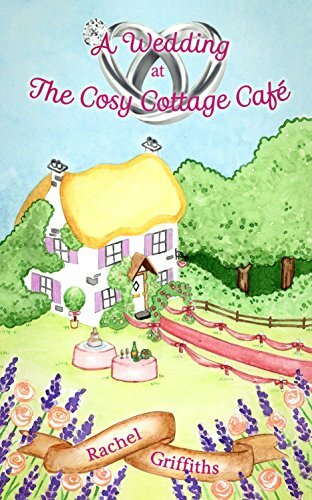 This is the fifth short story in The Cosy Cottage Café series. So here we are back in Heatherlea, visiting our friends, Allie, Camilla, Dawn and Honey at the Cosy Cottage Cafe, not only is one of the friends planning a wedding...but someone gets a unexpected surprise. But you will have to read the book to find out what these are. I will defy anyone who reads this book, that doesn't laugh and I'm not talking about a chuckle, this was full on laughter. Lets put it this way my hubby was giving me some very odd looks. As always I didn't want the book to end, because it feels like I'm saying good bye. Overall this was a brilliant book, the perfect book to take on holiday or just reading in the garden. I give this book a well deserved 5/5 stars. You can now buy the book from Amazon UK and all other retailers. I received this complementary copy from the author in return for a honest review.